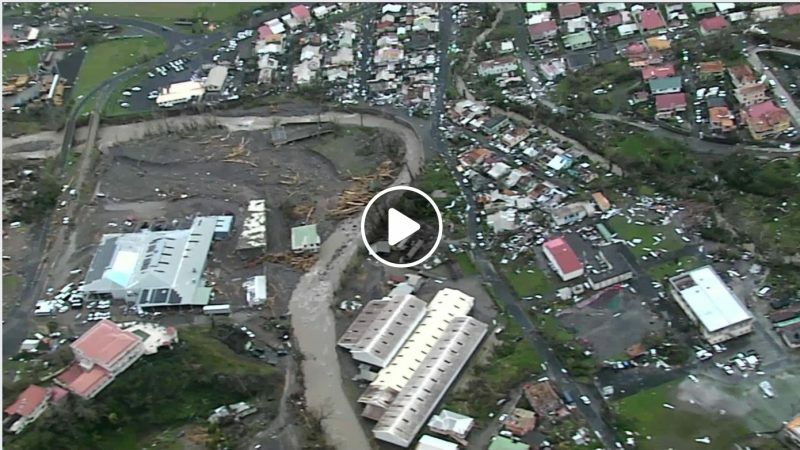 A still from an aerial video showing the near total devastation in Dominica after the passage of Hurricane Maria, September 19, 2017. Video by CDEMA – Caribbean Disaster Emergency Management Agency; shared widely on Facebook and Twitter. The northern Caribbean has been on the front line of the assault from the 2017 Atlantic hurricane season. Shortly after Irma , a Category 5 storm, ravaged the leeward islands , Maria — also a Category 5 — set her sights  on Guadeloupe, Dominica, St. Kitts/Nevis and Montserrat. Dominica, home to about 73,000 people, was one of the hardest hit. In the aftermath, the country's prime minister said  the hurricane had “devastated” the island. Maria made landfall on the evening of September 18. By the next morning, social media users region-wide were sharing photos of what claimed to be the aftermath of the storm in Dominica, but it turned out that some of the images being shared on WhatsApp chats and Facebook pages were fake — much of the communication on the island had been damaged, making it difficult for citizen journalists on the island to share anything. Others, however, were authentic . The small island nation was forced to battle maximum sustained winds of close to 160 miles per hour. It appears as if Dominica bore the brunt of the damage, though the neighbouring French-speaking islands of Guadeloupe  and Martinique did have fatalities and destruction of property. Hurricane Maria is currently battering  the island of Puerto Rico as a slightly less intense Category 4 storm. 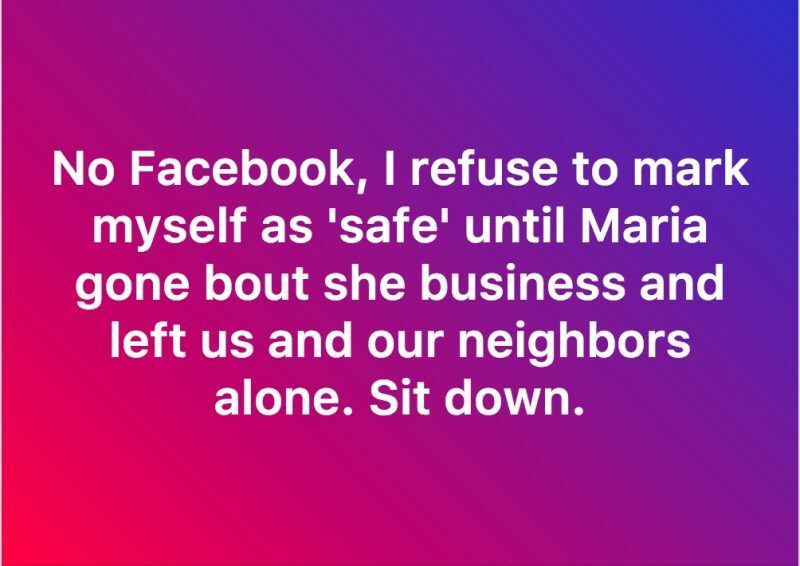 A Facebook page, Dominica Hurricane Maria Disaster Relief , has been set up to support and facilitate charitable donations to Dominica in the wake of Hurricane Maria.